View cart “Trubeats Freespirit Rasta” has been added to your cart. 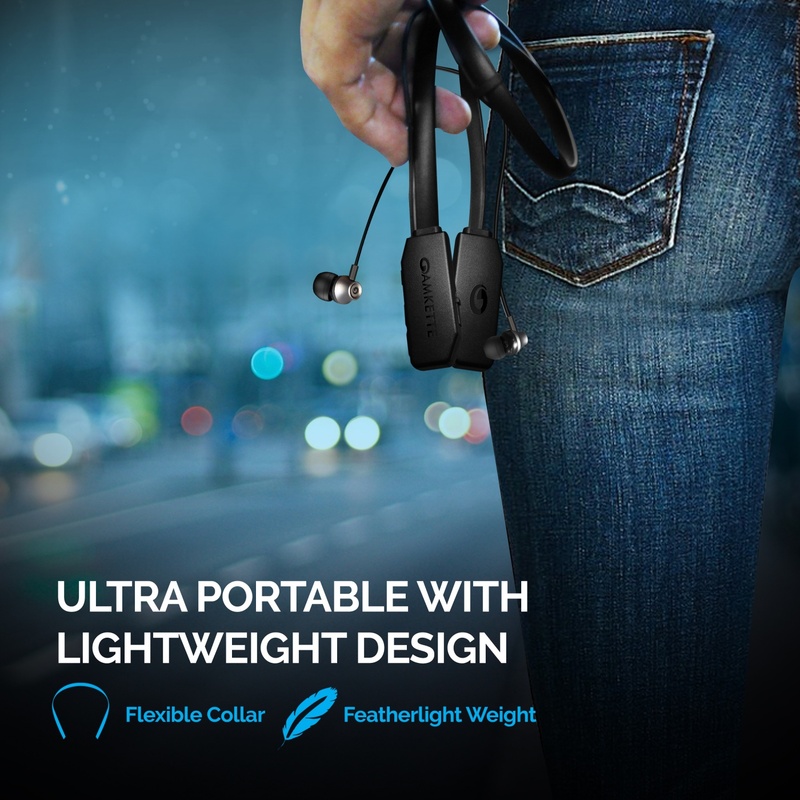 MARATHON BATTERY LIFE WITH FEATHER LIGHTWEIGHT – Amkette Urban X Wireless earphones deliver not 6, not 10 but up to 18 HOURS of reliable playtime in just one charge. You may forget you even need to charge! Weighing just 30g, these headphones can sit around your neck, from morning till evening. So lightweight that you’ll forget they’re even there – till you get an important phone call. FIT FOR YOUR LIFESTYLE – The soft TPU Neckband, Kevlar reinforced cable is sweat & water resistance including great durability that ensure these headphones will go, wherever you go, whenever you go. No matter rain or shine, day or night, a jog, or a cute phone call, these wireless Bluetooth earphones are always ready whenever you are. VOICE ASSISTANT ACTIVATION – With all new voice assistant activation, now you can also you your urban earphones as a medium to control voice commands of Google Assistant, Siri etc. To active the voice assistant, just press the multifunction button for 1 sec. PREMIUM SOUND QUALITY – High-Efficiency dynamic drivers bring an excellent wide and deep bass without compromising too much on the treble. CVC6.0 passive noise cancellation maximizes your sound. Also, you can easily connect it to your Android, Apple or Windows device in a matter of seconds. 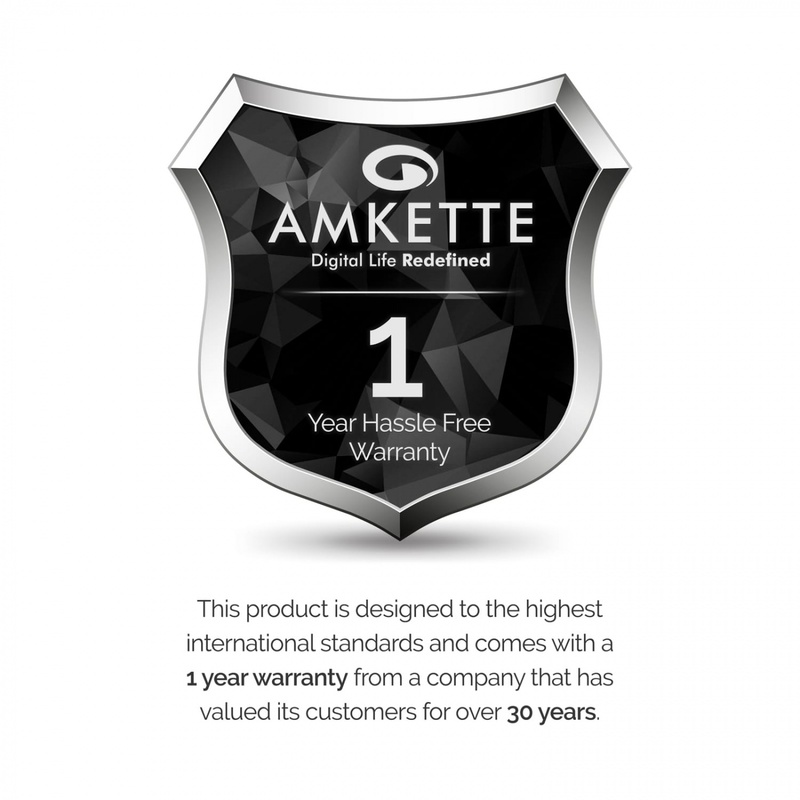 THE AMKETTE ADVANTAGE – HASSLE FREE 1 YEAR WARRANTY from a company that has valued customer for over 30 years. For any assistance, you can always call our customer care number 1800-11-9090 or WhatsApp on 9312691448. Amkette Truebeats Urban X Wireless Earphones are the natural evolution of Wireless Audio Technology. Feather Light with an included carry pouch, NIRVANA inducing audio with genre defining Bass, 18 Hours of Battery Life that can keep up with the most active schedules and Multi-pairing that lets you connect to 2 devices at the same time, all contributes to the making of this as the Ultimate Urban Audio Experience. Feature Voice Assistance Enabled, Feather Light Weight(30g), Multi-pairing, Soft TPU Neckband, Kevlar reinforced cable.